For behold, I am God; and I am a God of miracles; and I will show unto the world that I am the same yesterday, today, and forever. Joseph Smith declared that he translated the Book of Mormon “by the gift and power of God.” His wife Emma once remarked, “though I was … present during the translation of the plates, and had cognizance of things as they transpired, it is marvelous to me, ‘a marvel and a wonder,’ as much as to anyone else.” Emma’s statement seems to reference Nephi’s commentary on Isaiah, wherein Nephi taught that the Lord God would bring forth, in His own due time, a book “of those who had slumbered” (2 Nephi 27:6), which would be “a marvelous work and a wonder” (v. 26, cf. Isaiah 29). The Lord explained, “For behold, I am God; and I am a God of miracles; and I will show unto the world that I am the same yesterday, today, and forever” (2 Nephi 27:23). Those who familiarize themselves with the translation process of the Book of Mormon can come to understand, much as Emma Smith did, the many things that were extraordinarily miraculous about this “marvelous work and a wonder” (v. 26). 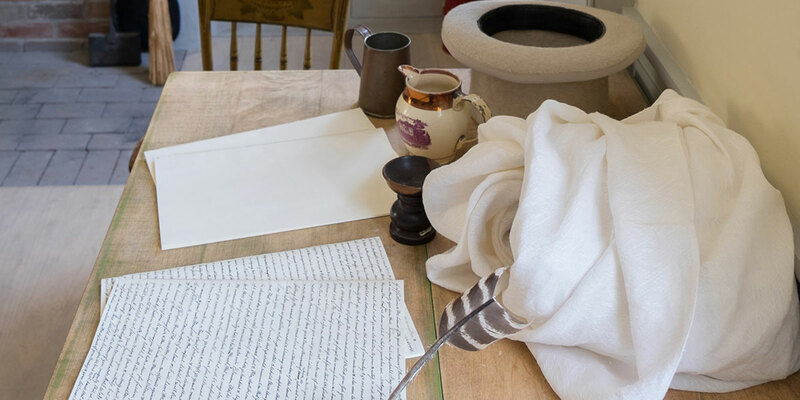 While Joseph Smith himself was often reluctant to even try to explain the specific details of the translation, those who assisted in or witnessed the process left several accounts of what they observed or understood to have transpired. Over two hundred historical records have survived from people who were close to this process or were in a position to report what they had learned from firsthand participants. For example, several people reported that, after placing the stones from the Urim and Thummim or a seer stone into his hat, Joseph would pull the brim of the hat around his face to shield the stone(s) from the ambient light. Then he would dictate “for long periods of time without reference to any books, papers, manuscripts, or even the plates themselves.” While the use of the hat may seem strange today, it served a needed and practical purpose. The fact that Joseph had his face in the hat also offers solid evidence that he was not reading from any drafts, outline, or the Bible, as he dictated. Has any other book been written that way? As recorded by Edward Stevenson, Martin Harris claimed that in the seer stone, “sentences would appear and were read by the Prophet,” whereupon the scribe “would say, ‘Written.’” In addition, David Whitmer reportedly explained that the “scribe would then read the sentence written, and if any mistake had been made the characters would remain visible to Smith until corrected.” Some of the scribes recalled Joseph Smith even correcting their spelling, despite him not looking at their manuscript. Emma remembered, “When he stopped for any purpose at any time he would, when he commenced again, begin where he left off without any hesitation.” These breaks would sometimes occur when they stopped for lunch, or to sleep at night. Other times the translation would resume after a trip to Colesville or Fayette, yet without any obvious disruption to the flow or content of the text. When collected together and analyzed, these types of direct observations from the various participants and witnesses tell a fairly consistent story about what transpired during the translation process. Through decades of research on the Book of Mormon Critical Text Project, Royal Skousen discovered that these reported details are substantially confirmed by the scribal evidence found on the Original and Printer’s manuscripts. John W. Welch suggested that, with all other activities accounted for, this would result in an average translation rate of “eight present Book of Mormon pages per day,” a pace which he described as “blistering.” Has any other book in the history of the world ever been produced in this fashion, under such circumstances, by a first-time writer, who had never before published a word? The Book of Mormon presents itself to the world as a miracle. In the words of Jesus, the coming forth of this book was intended to serve as “a sign” that people might “know that the work of the Father hath already commenced unto the fulfilling of the covenant which he hath made unto the people who are of the house of Israel” (3 Nephi 21:7). Like the miraculous signs given by Jesus and recorded in the Gospel of John, the Book of Mormon is a wondrous sign of the commencement of God’s new and everlasting work in the dispensation of the latter days. The mere presence of the Book of Mormon is a miracle. Joseph Smith himself probably could not have explained how it all happened, how the words appeared to his view, and how he was able to dictate and control what was written down, any more than Moses could explain mechanically how Aaron’s rod could become a snake that devoured the rods of Pharaoh (see Exodus 7:12) or than Peter could explain medically how he healed the lame man at the gate of the Temple (see Acts 3:6). The book came forth as a miracle to fulfill the prophecy of Isaiah. Elder Neal A. Maxwell stated that because the Book of Mormon “so amply fulfilled Isaiah’s [and Nephi’s] prophecy of a ‘marvelous work and a wonder,’ we may find strengthened faith in considering how marvelous and wondrous the translation really was.” That strength was designed to undergird personal testimonies everywhere of the truthfulness of the Book of Mormon and the prophetic work of Joseph Smith. Joseph Smith was no “detached scholar in some sheltered sanctuary where he could work at his uninterrupted leisure. Chores had to be done. His family had to be cared for.” He was a hardworking farmer with limited education and no notable literary attainments to speak of. Yet somehow, inside of three months, he was able to produce—in the presence of multiple scribes and witnesses—a lengthy, complex, consistent, and theologically rich historical record. If this book had come forth in normal academic ways, it would carry more intellectual weight, to be sure; but it would come with less authoritative endorsement from God, and would not stand as a sign that God has brought it forth at a particular time, by a certain prophetic messenger, and for divine purposes. Despite frequent interruptions, Joseph accomplished this in one draft, day after day, picking up right where he left off, and without any working notes or reference materials. Not only do the testimonies from multiple scribes and observers strongly agree on the essential details of this process, but their story has been abundantly confirmed by various types of scribal evidences from the original manuscripts. This miracle gives the English translation of the Book of Mormon a level of authority and credibility not offered by any other known volume of sacred scripture. Such a miraculous and well documented historical feat offers remarkable evidence, to any person willing to look, that Joseph Smith was a true prophet and that the text he produced truly came forth, as Nephi foresaw, by the “gift and power of the lamb” (1 Nephi 13:35). When this evidence is combined with the other evidences—such as the “supernatural vision” of the three witnesses, the eight witnesses’ “tactile experience” with the plates, and the numerous informal witnesses of the plates—it becomes increasingly apparent that the coming forth of the Book of Mormon was nothing short of marvelous. Is there better evidence anywhere that God is still “a God of miracles” (2 Nephi 27:23) and that “the day of miracles” has not ceased (Moroni 7:35–37)? Such a convergence of data and testimonies may not provide absolutely compelling proof of the Book of Mormon’s divine authenticity. But it certainly provides ample reason to prayerfully seek out a testimony of its truthfulness, or to maintain faith in a spiritual witness that has already been obtained. As Neal Rappleye has concluded, “It is impossible to prove that something is miraculous or divine, but all of the above evidence is consistent with the story told by Joseph himself—that he dictated a text given to him by revelation, through the medium of an ‘interpreter,’ or a seer stone.” To this day, Joseph’s story seems to be the only consistent explanation ever offered. John W. Welch, “The Miraculous Translation of the Book of Mormon,” in Opening the Heavens: Accounts of Divine Manifestations, 1820–1844, ed. John W. Welch (Salt Lake City and Provo, UT: Deseret Book and BYU Press, 2005), 76–213. Daniel C. Peterson, “A Response: ‘What the Manuscripts and the Eyewitnesses Tell Us about the Translation of the Book of Mormon,’” in Uncovering the Original Text of the Book of Mormon: History and Findings of the Critical Text Project, ed. M. Gerald Bradford and Alison V. P. Coutts (Provo, UT: FARMS, 2002), 67–71. Book of Mormon, 1830, p. iii, online at josephsmithpapers.org. Valentin Arts, “A Third Jaredite Record: The Sealed Portion of the Gold Plates,” Journal of Book of Mormon Studies 11, no. 1 (2002) has noted that the phrase, “by the gift and power,” as used in the Book of Mormon, has specific “reference to the interpreters and the gift of translation” (p. 56). It is notable, therefore, that Joseph Smith repeatedly used this same phrase to describe his translation of the Book of Mormon. In doing so, he associated his “gift and power” with the Jaredite and Nephite seers who came before him, and from whom he inherited the interpreters and the ancient records. For further discussion on Joseph’s own statements about the translation process, see Michael Hubbard MacKay and Gerrit J. Dirkmaat, “Firsthand Witness Accounts of the Translation Process,” in The Coming Forth of the Book of Mormon: A Marvelous Work and a Wonder, ed. Dennis L. Largey, Andrew H. Hedges, John Hilton III, and Kerry Hull (Salt Lake City and Provo, UT: Deseret Book and Religious Studies Center, Brigham Young University, 2015), 63. On one occasion Joseph Smith declared, “It was not intended to tell the world all the particulars of the coming forth of the Book of Mormon.” Minute Book 2, p. 13, online at josephsmithpapers.org. See also MacKay and Dirkmaat, “Firsthand Witness Accounts,” 63. For the latest documentary evidence, see the new edition of John W. Welch, ed., Opening the Heavens: Accounts of Divine Manifestations, 1820–1844 (Salt Lake City and Provo, UT: Deseret Book and BYU Press, 2017), chapter 3. For information concerning the Urim and Thummim and Joseph Smith’s seer stones, see Book of Mormon Central, “Why Was A Stone Used As An Aid In Translating The Book Of Mormon? (Alma 37:23),” KnoWhy 145 (July 18, 2016); Michael Hubbard MacKay and Nicholas J. Frederick, Joseph Smith’s Seer Stones (Salt Lake City and Provo, UT: Deseret Book and Religious Studies Center, Brigham Young University, 2016); Michael Hubbard MacKay and Gerrit J. Dirkmaat, From Darkness unto Light: Joseph Smith’s Translation and Publication of the Book of Mormon (Salt Lake City and Provo, UT: Deseret Book and Religious Studies Center, Brigham Young University, 2015), 61–78. Royal Skousen, “How Joseph Smith Translated the Book of Mormon: Evidence from the Original Manuscript,” Journal of Book of Mormon Studies 7, no. 1 (1998): 24. See also, “Last Testimony of Sister Emma,” 289–290. Edward Stevenson to the editor, November 30, 1881, Deseret Evening News, December 13, 1881. The interview occurred in 1870; as cited in John W. Welch, “The Miraculous Translation of the Book of Mormon,” in Opening the Heavens (2005), 135, 202, n. 52. Kansas City Daily Journal, June 5, 1881; as cited in Welch, “The Miraculous Translation,” 148, 205, n. 84. See Skousen, “How Joseph Smith Translated the Book of Mormon,” 25. Edmund C. Briggs, “A Visit to Nauvoo in 1856,” Journal of History 9 (October 1916): 454; as cited in Welch, “The Miraculous Translation,” 129, 201, n. 38. See also “Last Testimony of Sister Emma,” 289. See Book of Mormon Central, “Did Jerusalem Have Walls Around It? (1 Nephi 4:4),” KnoWhy 7 (January 8, 2016). Fred C. Collier and William S. Harwell, eds., Kirtland Council Minute Book (Salt Lake City, UT: Collier’s, 1996), 23. The passage appears in the entry for February 12, 1834; as cited in Welch, “The Miraculous Translation,” 132, 202, n. 44. Skousen concluded that this consistency is especially true for the things that the witnesses actually observed. When it came to the witnesses’ assertions about the unseen process of Joseph translating, meaning what he saw in the interpreters and how divinely controlled the dictation process was, their statements were sometimes “not supported by the evidence in the original manuscript.” Skousen, “How Joseph Smith Translated the Book of Mormon,” 24. For an overview of the Book of Mormon Critical Text Project, see Royal Skousen, “Restoring the Original Text of the Book of Mormon,” Interpreter: A Journal of Mormon Scripture 14 (2015): 107–117. For an overview of the original manuscripts of the Book of Mormon, see Royal Skousen, “Manuscripts of the Book of Mormon,” in To All the World: The Book of Mormon Articles from the Encyclopedia of Mormonism, ed. Daniel H. Ludlow, S. Kent Brown, and John W. Welch (Provo, UT: FARMS, 2000), 178–180. See Skousen, “How Joseph Smith Translated the Book of Mormon,” 27. Daniel C. Peterson, “A Response: ‘What the Manuscripts and the Eyewitnesses Tell Us about the Translation of the Book of Mormon,’” in Uncovering the Original Text of the Book of Mormon: History and Findings of the Critical Text Project, ed. M. Gerald Bradford and Alison V. P. Coutts (Provo, UT: FARMS, 2002), 69. See also Skousen, “How Joseph Smith Translated the Book of Mormon,” 27–28. Skousen, “How Joseph Smith Translated the Book of Mormon,” 31. See also p. 27. See Welch, “The Miraculous Translation,” 83. Welch, “The Miraculous Translation,” 102. Welch, “The Miraculous Translation,” 101. Terryl L. Givens, By the Hand of Mormon: The American Scripture that Launched a New World Religion (New York, NY: Oxford University Press, 2002), described the production during the months of April and May as a “truly prodigious rate of translation” (p. 37). See also, John W. Welch, “I have a Question,” Ensign, January 1988, online at lds.org; Daniel C. Peterson, “An Apologetically Important Nonapologetic Book,” Journal of Book of Mormon Studies 25, no. 1 (2016): 68. The first section of the Gospel of John is often referred to as the “Book of Signs.” For a treatment of this topic, see Blair G. Van Dyke, “Miracles of Jesus in the Gospel of John,” Religious Educator 9, no. 3 (2008): 15–30. Neal A. Maxwell, “‘By the Gift and Power of God,’” Ensign, January 1997, online at lds.org. Maxwell, “‘By the Gift and Power of God,’” online at lds.org. See Mackay and Dirkmaat, “Firsthand Witness Accounts,” 62–63. See also, Robert A. Rees, “Joseph Smith, the Book of Mormon, and the American Renaissance,” Dialogue: A Journal of Mormon Thought 35, no. 3 (2002): 83–112; Robert A. Rees, “Joseph Smith, the Book of Mormon, and the American Renaissance: An Update,” Interpreter: A Journal of Mormon Scripture 19 (2016): 1–16. See Melvin J. Thorne,”Complexity, Consistency, Ignorance, and Probabilities,” in Book of Mormon Authorship Revisited: The Evidence for Ancient Origins, ed. Noel B. Reynolds (Provo, UT: FARMS, 1997), 179–193; Grant Hardy, Understanding the Book of Mormon: A Reader’s Guide (New York, NY: Oxford University Press, 2010), 6–7. For a more developed summary of the translation process and its importance as evidence, see Neal Rappleye, “‘Idle and Slothful Strange Stories’: Book of Mormon Origins and the Historical Record,” Interpreter: A Journal of Mormon Scripture 20 (2016): 29–32. Givens, By the Hand of Mormon, 40. See also, Richard Lloyd Anderson, “Attempts to Redefine the Experience of the Eight Witnesses,” Journal of Book of Mormon Studies 14, no. 1 (2005): 18–31, 125–27. See Richard Lloyd Anderson, Investigating the Book of Mormon Witnesses (Salt Lake City, UT: Deseret Book, 1981), 21–34; Amy Easton-Flake and Rachel Cope, “A Multiplicity of Witnesses: Women and the Translation Process,” in The Coming Forth of the Book of Mormon, 133–153; Book of Mormon Central, “Who Are the ‘Few’ Who Were Permitted to See the Plates? (2 Nephi 27:12–13),” KnoWhy 54 (March 15, 2016). See also 2 Nephi 28:6; Mormon 9:10–11, 15, 19. See Book of Mormon Central, “How Will God Manifest the Truth of the Book of Mormon? (Moroni 10:4),” KnoWhy 254 (December 16, 2016). Rappleye, “‘Idle and Slothful Strange Stories,’” 32. See Jeffrey R. Holland, “Safety for the Soul,” Ensign, November 2009, 89–90, online at lds.org; Rappleye, “‘Idle and Slothful Strange Stories,’” 32–37. Peterson, “A Response,” 70.